There remains a deep undercurrent of racism in this country but it is not mainstream Australian opinion driving it. The problem is that the public debate in and around migration is persistently led by a far-right minority. And actively challenging such intolerance is vital otherwise I think these low debates will come at a high price for us all. I really think all doctors must unite against racist attacks on IMGs. This is doing considerable damage and we need to challenge these views. If you were looking for more evidence that the media is complicit in fueling racism it could be clearly seen on the front page of The Weekend Australian last weekend. Beneath a headline that read ‘Foreign doctors blow out Medicare’ sprawled the most unbalanced, uninformed piece which firmly targets International Medical Graduates (IMGs) as exploiters of Medicare. This article, whether deliberate or not, purely through a sole focus on IMGs infers that they alone are responsible for driving some very complex problems facing our health system. Issues around over servicing and professional standards are not confined to IMGs and we have effective non-discriminatory processes in place through various codes, guidelines, and policies to address these. Starting with over-servicing and alleged Medicare fraud we’re told about “a rampant increase in IMG Medicare billing”. The article, of course, fails to balance this with required comparators for Gross Billings for Australian Trained Doctors (ATDs). There is also policy in place which addresses such issues – the Professional Services Review - and this is not confined to IMGs. Some much-needed context around what might be driving such increases other than the inferred fraud would have helped balance it. Issues such as long hours and caseload, acuity and complexity of patient need, and broader need for the specific population and working to align resources to need all factor strongly. The article then forewarns a policy shakeup which will see the number of IMGs or ‘imported GPs’ slashed in coming years and then states a budget return for policy justification. This just adds to a growing trend which sees skilled migration used as political fodder. Skills lists really are a decision for government and if we don’t need them then don’t get them. I actually don’t disagree that we should place strict parameters around skilled migration policy to ensure we are targeting the skills most in need. But if we do need them then we need to support them and that is the key issue here. More on that later! Recent policy through the new Temporary Skill Shortage (TSS) visa now works through short and medium-term skill requirement. This is a good policy reform which also works to limit the pathway to permanent residency. Where’s the detail behind the analysis? The article alludes to some analysis that claims average billing of IMGs — across Medicare, the Pharmaceutical Benefits Scheme, and referrals — has tripled in three years. Let’s be clear here defining total cost as MBS + PBS + referrals in no way reflects a GPs actual income. We’re then told that removing IMGs would result in a forecast saving of $415.5 million. This, of course, assumes that most if not all the services provided by the IMG equated to over-servicing. The article claims this is based on a policy assumption that other doctors would not cover the equivalent Medicare services or subsidised drugs and only half as many referrals. This is a very big assumption and one that is impossible to verify against such diverse need. Now to provide a much-needed defense for IMGs. Statistics might show there is no doctor shortage in Australia but there certainly remains a maldistribution issue. Maldistribution persists in rural Australia and with increasing remoteness you can expect to see both workforce shortages and a higher burden of disease. This is despite efforts to increase supply through policy measures which see increasing numbers of Australian Trained Doctors (ATDs) and broader workforce supplementation measures through skilled migration. Benefits from increasing domestic supply will of course take time and we’ve made great progress with more students training in rural areas through the Rural Clinical Schools. 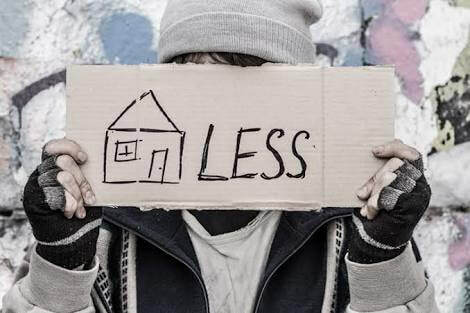 What is not seen beneath the supply stats are the policy complexities in regard to addressing population need, ensuring the right workforce mix, health infrastructure deficits, and distance and geographic location. There are still too many one doctor towns in rural Australia in need of an urgent injection of basic medical facilities. Keeping services viable in these contexts is the story not told. And it is for all these reasons IMGs remain an integral part of our workforce. Excessive specialisation means there are not enough generalists particularly in rural Australia. We’ve been working hard to address this through the National Rural Generalist Framework. This is key to ensuring a supportive pathway providing rural exposure in order to prepare trainees for work in a rural and remote setting. There is significant policy work currently being undertaken in this area led by the National Rural Health Commissioner. We need to facilitate some key shifts which turns a structure which currently sees most of the training being undertaken in the bigger tertiary hospital in the cities. We need to turn that on its head to provide more training in regional locations to encourage more domestic graduates to take up and retain postings in rural and remote areas. Currently, they are seconded for six months to a rural area but it’s just not going to be enough to give them the exposure they need to entice them to return. They spend most of their time training in cities and naturally build a life around that. We need to provide more opportunity for them to work in rural areas and experience the rewards. It is just about facilitating the training to connect these doctors to the communities that need them the most. It’s really quite simple and we’re now on the right path to make this happen. IMGs are the lifeblood of rural towns. They are the backbone of our healthcare services in rural areas. You see without them many rural communities would be without a doctor. It is estimated that IMGs comprise approximately 40% of the medical workforce in Australia and 46% of general practitioners in rural and remote locations. IMGs saved this country from a disaster over the past 10-15 years and this type of reporting is just unhelpful. Let’s not forget that they are often recruited to work in some of the most difficult environments, with little support. If we are going to persist with a debate that sets IMGs up against ATDs then lets first clarify the definition. I don’t think it is well understood just how broad this term is. And it’s a term that sticks. IMG simply means that you have been trained overseas and while we’re on that point it also means that you’ve not cost the country a cent in your training. Many IMGs have been through the system, working in rural areas for many years and achieved Fellowship. These doctors are serving their communities delivering a very high standard of care. The legacy of a forced distribution policy – the 10-year Moratorium – is that the gains for our rural communities are only short term, as doctors seek to return to more populated areas. The policy may only provide intermittent gains, and ultimately fail to provide a stable workforce for the rural and remote areas in need. For it to work, it is reliant on a longer-term commitment from IMGs – a key consideration which currently lacks policy focus. Now one final word on the debate we ought to be having. The discussion we need to be having is keeping doctors where we need them. For rural and remote communities, we need to shift the focus toward IMG retention, beyond moratorium obligations. But we also need to focus most on a policy which prioritises and secures domestic graduates for regional, rural and remote Australia. A strong investment in the National Rural Generalist Pathway will support this outcome. The reality is that we will also need to continue to rely on those IMGs currently working in regional, rural and remote Australia to help train our domestic workforce coming through. IMGs are vital in securing the next generation of rural GPs and this is a really important point that just gets lost in these divisive debates. Last week’s blog on GP-led strategies to reach out to drought-affected farmers has started some good discussion around the role of GPs and our broader public health role. What we are seeing is a significant drought particularly in the worst-affected parts of NSW where the current dry conditions have spread to most inland parts of the state. The recent media focus is a good thing to keep some philanthropic and government dollars flowing, but we really need a better preventative strategy to protect our farmers and our food resources from these extremes. What we are seeing is reactive policy which only demonstrates the ineffectiveness of our national drought management policies. While short-term drought-related health shocks can be more obvious, it is those longer term, more indirect health implications that are harder to measure and monitor. In helping our communities prepare for drought, GPs should have a leading public health role in developing drought-related public health vulnerability assessments. This involves working with the community and key partners to ensure coordinated preparedness and response efforts. Staying engaged through non-drought periods is essential. Here are some key steps that we could consider in undertaking drought planning and vulnerability assessments in our own communities. It is clear that drought severity and the vulnerability of particular populations requires a more targeted and planned response. While the health effects of drought can be severe, the health disparities in diverse rural communities can make public health planning a challenge. This is why GPs need to have an active role in identifying those priority groups within our community. Most rural practices sustain themselves by being attentive to key changes within their communities and know how to work within constrained resources. A key part of this is enabling planning and establishing a leadership role for GPs in decisions to develop appropriate models of health care for these at-risk groups. It is important to note that there is also a doctor drought in some regions too. The distribution of GPs to underserved areas requires similar planning together with ensuring the adequacy of health infrastructure for longer-term service viability. We need more data around this but generally, populations face an increased risk of illness in the year they are exposed to drought. A formal role for GPs in addressing the data gaps to build more evidence around the causal links between health and the environment is needed to inform future policy nationally. More research dollars and faster research into what works at the local level to help us better understand the risks and health status of populations. This requires a sustained research effort and is part of a broader investment strategy and structured support towards disease prevention. Droughts have many consequences for health. Social impacts are quite obvious as drought contributes to debt burden and the psychological impacts run deep. Generally, we will see more air and water-borne diseases and infections, with effects on air quality including related respiratory illness. The worsening of chronic illnesses and mental health conditions through social impacts and compromised food and nutrition. A community capacity-building program for drought response should be prioritised to both assess drought impacts and explore actions in response from a health perspective. We have a good understanding of what the health vulnerabilities are for our own communities in times of drought. Allocation of funds towards drought mitigation in relation to health is needed. Inadequate social impact indicators make this task harder but we need to think about building resilience to drought. In building resilience, implementing critical programs to protect the most vulnerable health populations in specific locations is important. Building the evidence base for population-level interventions will also help close the gap between research and practice. A national program to support communities to undertake drought-related public health vulnerability assessments is a good way to make this happen. GPs should have a leading role in supporting proactive mitigation and health planning measures in managing drought risk and health impacts for their communities. Those living in rural Australia don’t need to see a politician donning an Akubra to confirm just how bad this drought is. Rural communities know only too well what this almost constant climate of suffering looks like. How this hardship can impact on community morale and health and particularly for mental health. This is clearly seen at the practice level in our patients with notable increases in the rates of depression and anxiety and with more and more patients disclosing suicidal thoughts. The most devastating reality of drought is of course suicide which is in part a system failure and a shift in placing prevention at its heart will require a very different model to the one we have. This was a farmer reaching out for support and with this key step, the healing journey can begin. The depression begins with a downturn in cash flow and in a multi-year drought, there is often no clear way forward for them. A key hurdle for us is in reaching out to those more adept at hiding the problem. Trust is a big part of it. In rural people, particularly men, this is sometimes very well hidden. They often try and hide the problem and all too often we find it is too late to help. We are missing a lot of patients – those who won’t come forward – and this is where our funding dollars are most needed right now. It is often the case that even when mental health services do exist within a community, farmers are unlikely to utilise these services. It involves taking your practice to the patient and there’s currently no real funding tied to this. This effort relies on the goodwill of the GPs, nurses, other clinicians and allied health professionals. These are ground-up initiatives to help communities manage their health and mental health. And these are the strategies that we know work in rural communities. I’d like to share a couple of practical strategies we’ve undertaken to reach out to those harder to reach farming patients. The pub is a good place to start. We often do talks in the pub which will have a formal health topic for the evening inviting the community to join us in the discussion. We see two groups form here. The ones actively involved in the discussion and those sitting at the bar (but listening). It is the latter that is often the most critical to reach. But it can start the conversation and importantly their involvement in their own health and wellbeing as well as new strategies to cope. The field day pitstop check-up clinic places us right in the thick of the action. This is where farmers gather to exchange ideas, trade their goods and importantly just get together. We usually set up a tent clinic with a couple of doctors and practice nurses providing health and lifestyle assessments. We cover emotional wellbeing and general health checks looking at BMI, blood pressure, respiratory testing, blood glucose and covering other risk factors including cholesterol screening. These tests are vital and will often get them into your clinic and under your care longer term. Sparking that vital conversation around mental health is a key objective here and we aim to provide links to rural helplines and connect through to outreach initiatives. What inspires long-term patient loyalty? It’s hard to pinpoint precisely what inspires long-term patient loyalty. Quality of care and trust must come into it. The ability to listen, having a caring presence and reliability would also factor highly. From my own experience, I think patient loyalty is mostly about trust. And it is timely and effective communication that builds that trust. Of course, for doctors, communication also involves giving the patient bad news. Listening actively and providing comfort being core communication skills. There are very few studies that have explored those factors seen to build and maintain a patient’s loyalty towards their GP or a practice. Some recent research in France provides some specific insights while a more recent study closer to home provides a new novel way to measure both GP and practice loyalty. First, let’s look at a possible loyalty equation. A 2016 French study tested aspects of patient loyalty in the general practice context. 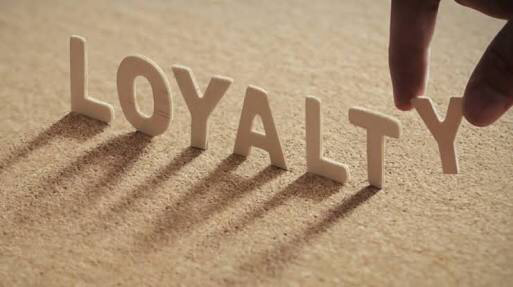 This study found that loyalty was more complex than commonly assumed and is reliant on a few factors. It involves dimensions of trust, listening, quality of care, availability, and familiarity. This is interesting enough but I think what makes this study really interesting is that the loyalty factor was seen as important enough to formalise it in policy. 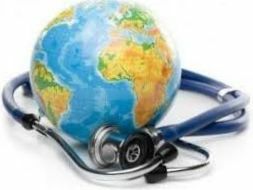 In France, the Caisse d’Assurance Maladie (public health insurance fund) recognises a coherence in maintaining the doctor-patient relationship in terms of efficiency and healthcare costs. This has been formalised in law since 2004 and was part of broader reforms to health insurance which requires a ‘preferred doctor declaration’. What we see in France is the use of a single lever-regulation through what it calls its ‘gatekeeping’ reform. The carrot and stick approach of this effectively means that every adult must first choose a primary doctor, or médecin traitant, or risk higher healthcare fees and being reimbursed at a lower rate. The policy aim is to control both the demand and supply side of health care provision to improve care coordination and reduce utilisation of specialists’ services. The policy operates by encouraging patients to choose one GP and imposes financial sanctions if they don’t. This gives value to the relationship and makes the patient’s loyalty official. One evaluation of this reform explored effect and found that specialist visits fell slightly while self-referred visits and the number of different GPs seen also declined. In other words – policy success – but does a forced scheme generate patient loyalty? What can we learn from the French experiment? Forced schemes like this are never good policy. But while this scheme is perhaps set out to control access to specialists the positives will be seen over time through continuity of care. The French patient loyalty study actually found this to be true. That, by inciting patients to always consult the same doctor, the reform of the preferred doctor scheme reinforced that bond. Patient loyalty in the Australian policy context has resulted through a stronger policy framework which enables choice. So, where are we at in terms of policy success against the loyalty factor? This study is said to open up a new toolbox for exploring how patients use healthcare services. It’s the innovative approach using network analysis that makes this a standout. It uses network analysis of big data analysing millions of Medicare claims to gain insights into the organisation and characteristics of Australian general practice over a 20-year period. Providing a novel way to measure change in Australian general practice over two decades, the study shows that while there has been a move towards bigger GP practices, patient loyalty remains high. These results were found by looking at the claims to see when patients were visiting different doctors for their GP services. By applying a network analysis approach, it showed where doctors had many patients in common that they were likely to be sharing the care for these patients in the same practice. These were grouped as a provider-practice community or PPC which also provided new insights into patient loyalty. The results showed that patients’ loyalty to their usual GP and usual GP practice is high and has been stable over the last 20 years. The loyalty result is exciting combined with the innovative approach used in this study to find that the density of patient sharing within a PPC correlated with patient loyalty. The fact that patients see multiple GPs within a practice is also significant in terms of practice design and enabling more team-based GP care models. The further link made in this study in terms of supporting future program design in terms of where to target incentives for encouraging quality primary care is also good news for our practices. For good policy reach, program success relies in part on the patients’ choice of practice and this fact is now more keenly linked to that loyalty factor as a result of this study. These results provide a really positive outlook on Australian general practice and our approach to healthcare policy in enabling equity in access. In contrast to the French policy experience whereby a forced scheme has formalised patient loyalty in a way, the Australian experience shows that patient loyalty and choice of practice comes through less forced means. It will be interesting to see what more can be explored through big data analytics and the network analysis approach used in this study to better understand our health system. Law No. 2004-810 of 13 August 2004 concerning health insurance. Article 7. Published in JORF n°190 2004–08–17: 14598. [In French]. Legifrance Paris, 2015. When each of us experience hardship, it changes us - yet not all of us experience lasting harm as a result. Stress affects people differently with many factors influencing the strength of our stress response. Resilience is our capacity to overcome adversity and our resilience is shaped by our experiences – both good and bad. And it’s really only when you’re faced with extreme stress that your level of resilience can be determined. This was the moving statement from a father who lost his unborn baby during the recent Grenfell Tower inquiry. It is said that we can all overcome adversity and choose to be resilient. But how can we increase emotional resilience and cultivate more resilience for ourselves and for others? Can neuroplasticity help us to understand resilience? Mindfulness sites are full of the promise of rewiring your brain through neurally inspired therapies to increase emotional resilience. Brain researchers reassure us that the brain can change and that brain reorganisation is not limited by age. That it is the brain’s plasticity that can help us to overcome adversity. Neuroplasticity is the brain’s ability to grow and change in response to experience. It is supported by chemical, by structural and by functional changes across the whole brain and together they support learning. What is it that limits and facilitates neuroplasticity? Dr Lara Boyd Neuroscientist and Physical Therapist at the University of British Columbia explains this well in her work which looks at what can be done to help patients recover from stroke. In looking at how we learn she states that the best driver of neuroplastic change in your brain is your behaviour. But that it needs practice and you have to do the work with increased difficulty leading to more learning and greater structural change. Dr Boyd’s research has looked to therapies that prime or prepare the brain to learn – brain stimulation, exercise, and robotics. But she also states that a major limitation is that patterns of neuroplasticity are highly variable from person to person. It is this variability in studying the brain after stroke that she believes provides some valuable transferable lessons. Learnt neuroplasticity after stroke applies to everyone. It is these individual patterns and variabilities in change that allow us to develop new and effective interventions. It is partly personalised medicine with each individual requiring their own intervention. However, this concept is then broadened through embracing our uniqueness with personalised learning being key. This research shows that biomarkers are helpful to match specific therapies with individual patients. More specifically it is a combination of biomarkers that best predicts neuroplastic change and patterns of recovery after stroke. Dr Boyd’s advice is to study how and what you learn best. Repeat those behaviours that are healthy for your brain and break those that are not. In applying this learning, it is clear that resilience can be taught. But it requires supportive relationships and opportunities for personalised learning. Bringing this back to our own workplace, how can we harness the brain’s innate capacity to change? Not only in our patients and ourselves but applying this knowledge in equipping our trainees with strategies to cope in dealing with stress. I think it is important to look at how can we inspire resilience in others. Working through what strategies work for the individual is important but so is providing a workplace free from harm, neglect, and disrespect. More emphasis on building positive work environments, coping strategies and the importance of self-care is needed. Training in neuroplasticity and how to exploit it should be part of our armoury. For our trainees, we need to think more about building their stress fitness and coaching and mentoring are helpful in developing this resilience. Trainees would benefit from a buddy and a mentor to improve resilience and this needs to be formalised in our training system. Funding for formalised training programs to improve resilience in our trainees should also be prioritised. Webinars in workplace wellbeing, resilience, mindfulness, cognitive reappraisal training should all be pursued. Resilient people are able to see things from others perspectives. They also tend to value others. Simply conversing in a compassionate way changes the brain. Coming back to neuroplasticity, if we repeat certain throughs or behaviours often enough the neural pathway can be created. Forming new connections and weakening those patterns that are not working for you being key. In mastering resilience, we know that much of it has to come down to the individual and effort. Fixing a self-critical neural network is doable but takes practice and training to chart new pathways. In untapping resilience by harnessing the brain’s innate capacity to change we must prioritise the tools proven to bring about these shifts. This is particularly important in supporting our trainees so that together we can inspire and create a more resilient workforce. 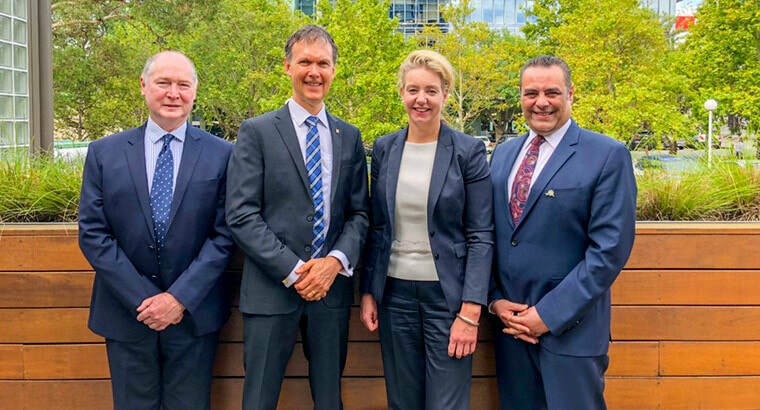 Announcing the Collingrove Agreement following the rural and regional health forum in Canberra on Friday 9 February 2018 from L–R: ACRRM’s Dr Michael Beckoff, National Rural Health Commissioner Professor Paul Worley, Minister for Rural Health Bridget McKenzie, RACGP Rural Chair A/Prof Ayman Shenouda. Those who have been part of this journey will understand the significance of the Collingrove Agreement. Although I think on this topic, even the most casual observer will be across the division that has chocked us for so long. It’s been a long and often dusty road but we’re now steered in the right direction and towards developing a national rural generalist pathway together. Finding that common ground was relatively easy in one sense. You see, the one thing I’ve noticed having travelled extensively over the past four years as Chair of the RACGP rural faculty is that patience, passion and persistence is a common trait of rural GPs or any GP for that matter. From Longreach to Carnavon or Katherine to Goolwa and everywhere in-between and regardless of which camp they belonged – ACRRM or RACGP - there lies a great determination and commitment for their patient and rural community. An unbreakable connection which binds us all in addressing rural health disadvantage and securing a healthier future for all. But in finding that common ground between the two GP colleges - while the destination remained the same - the road itself was indeed rocky. So rocky in fact it required an all-terrain vehicle for all involved and sometimes perhaps a tank may have been a slightly better choice! Still, despite years of division, I think it was that same spirit that made the Collingrove Agreement possible. 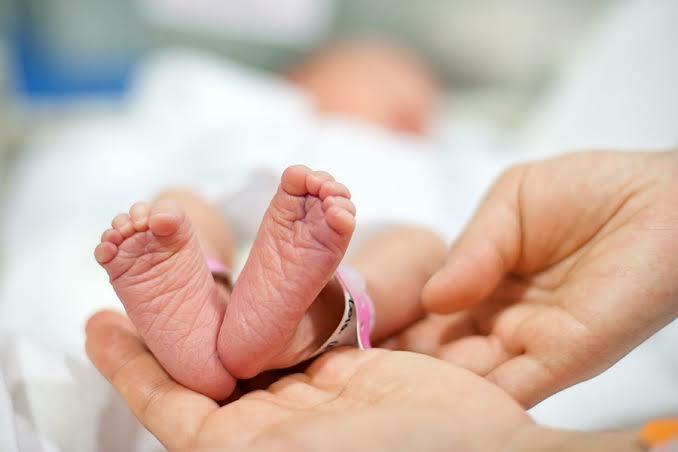 An easy headline it may have seemed to those filtering the news last Friday, but the “RACGP and ACRRM collaborating on national generalist pathway” was truly momentous. And certainly, for those around the table at Collingrove Homestead in the Barossa Valley, South Australia, collaboration soon became the only solution. Sharing a picture for history’s sake of those present on those momentous couple of days 11-12 January 2018. Securing the milestone agreement from L-R: Dr Melanie Considine, RACGP Rural Deputy Chair, RACGP Rural Chair A/Prof Ayman Shenouda, ACRRM Censor in Chief A/Prof David Campbell, our National Rural Health Commissioner Professor Paul Worley, ACRRM President A/Prof Ruth Steward and Dr Rose Ellis from the Rural Doctors Network. While the agreement itself is only four paragraphs long - the common ground here was significant. We had 7 million reasons to get this right. It is about equity of access in meeting the health care needs of rural and remote Australians through a responsive needs-based solution. Together we were determined to secure a strong, sustainable and skilled national medical workforce to meet the needs of these communities. This is, of course, more than a about a definition but it was always a sticking point. On one hand there were those focussed on the name or a tendency to favour a definition over others. On the other, we knew that developing skills around the ongoing care considerations are the areas that best serve the community. And there’s the commonality – supporting doctors to acquire the skills to meet the needs of their communities. A dedicated and clear pathway for rural GPs to acquire those skills and utilise them in a way that is valued and recognised are important workforce factors. This was the cohesion that brought the clarity to the definition. Beyond the definition, it is the careful design of the pathway itself that will make the most difference. It needs to be a lot of things but at its core it is about ensuring the right skill mix against demand with supportive elements offering flexibility and choice. Key features which include a clear pathway for young doctors with flexibility that allows entry and exit at different stages. Ensuring adequate funding for the pathway itself alongside essential factors in establishing a critical mass of trainees but with enough flexibility for it to work within the varying jurisdictions. It should also allow lateral entry for practising GPs and other rural doctors who want to acquire new skills to address the shifting need in these communities. Ever changing needs like mental health and palliative care and in dealing with the extra problems which depend on the health needs and context of the community. The full range of competencies enabling them to deliver patient care closer to home in the primary and secondary care contexts. Or quite simply, training young doctors with the right skill set that makes them feel safe and supported to do their job which is addressing rural and remote community needs. Despite years of focus, the disparity of health service delivery in rural and remote Australia remains a key policy failure. Much has been left to our overseas trained doctors who have been the backbone in delivering this care over this time. The lack of a solid training or workforce solution meant that the rural health system depended on individual efforts with very mixed results. Sometimes I feel the split between the colleges had to happen for us to be able to reach this agreement. The Collingrove Agreement is the culmination of 20 years of hard work by both Colleges in building capacity to deliver a needs-based solution for rural health. We’ve seen more collaboration over the past year than in the preceding 20 - through Bi-College Accreditation to this historic Collingrove Agreement. So, let’s keep it up! A Rural Generalist Pathway Taskforce is being formed in the coming months to work through the pathway design. There may still be a long road beyond Collingrove Homestead but I think this time it will be the recently resurfaced type! It is great to see the Federal Government delivering on its commitment to increase the number of rural-based doctors in training.What we are experiencing right now in rural health can only be described as a rural renaissance. We have great leadership in our Rural Health Commissioner and now in our new Rural Health Minister making her mark and building on the great work of her predecessor. More intern placements in general practice is great news for rural doctors and their communities. This is an essential step in securing the next generation of rural GPs by ensuring our trainees receive broad exposure through prioritising primary care and general practice. These programs really work as they provide trainees with that essential insight to community medicine. The Rural Junior Doctor Training Innovation Fund (RJDTIF) program provides primary care rotations for rurally based first-year interns. It builds on existing state and territory arrangements to provide primary care rotations in addition to hospital rotations. Last week, Rural Health Minister, Senator the Hon Bridget McKenzie, announced a $1,304,967 Federal Government grant for the Murrumbidgee Local Health District to increase intern rotations throughout the region. I’m proud to be contributing with my practice in Wagga selected to participate and we will be rotating five interns a year through this program. It was great to show Minister McKenzie around my practice and have a chance to discuss how to provide that valuable community exposure early. The Minister showed a deep understanding of what is required in placing policy priority on general practice. She shared my vision that every junior doctor should have a rotation in general practice as part of the first two to three years of training. In our practice, we have GP specialists, new fellows, GP registrars, interns and medical students working alongside nurses and allied health professionals. We aim to support the integration of vertical and horizontal teaching enhanced through a multidisciplinary team environment. A strong teaching culture and established education networks also ensure we have the hospital and community partnerships to enhance exposure and demonstrate for our trainees the diversity of general practice. We’ve worked hard to build the required supportive infrastructure and systems to make this work which needless to say is also reliant on a solid business model. Targeted exposure strategies like these ensure trainees can develop the broad range of skills required. It provides essential rural exposure for interns to learn the complexities of delivering services in rural areas while in a supportive general practice setting. My own experience with the PGPPP where I had 12 interns rotated in my practice really yielded results. From that cohort, about 70 per cent of them have chosen general practice as their training speciality. They loved the diversity and complexity general practice offered. It challenged them, kept them engaged and provided that important insight into the doctor-patient relationship. Addressing maldistribution has been dominant in the discussion at many Rural Health Stakeholder Roundtables in Canberra over recent years. Certainly, greater exposure to general practice for junior doctors has been central to RACGP Rural advocacy around securing an integrated rural training pathway. Particularly in ensuring more emphasis on primary care and generalism early in medical education. But really making generalism a foundation of junior medical training – a discussion made more difficult on the back of a defunded PGPPP. This was a significant policy obstacle when you consider that what we were pursuing was more of a supercharged PGPPP but specifically for rural areas. We needed a solution that would boost the number of GPs as well as address the gap in the rural pathway by providing intern rotations in general practice and primary care. We knew there was a strong learner preference for rurally based internships. We also knew that potentially we had lost a cohort of potential rural GPs as the gap from the PGPPP hit hard and narrowed our opportunities. It certainly was a long policy process getting here. This is the why this program, which was the result of a long period of sustained advocacy, is such a significant win for general practice. It is clear much of the hard work over many years is starting to pay off particularly in rural health. This is a significant step forward in securing a stable medical workforce to address maldistribution. I’m not the first to say that the 24-hour media cycle has taken a toll on our democracy. Some even say it killed journalism. I think the true damage lies in a loss of thoroughness and depth of thought. More specifically, the effects of the demise of principled advocacy and what it now takes to shape and change policy. Twitter now seems to set the policy agenda. But we’ve been in this chaotic and unpredictable world for some time now and we’re never going back to the pre-digital era of journalism. In mobilising support, is there the time and patience left to build a policy dialogue? Without it, we are just left with a policy vacuum and random tweets that lead us nowhere. Considered policy development takes time. Good public policy relies on effective community involvement and consultation. Good implementation is also important. The process of implementation seems to be skipped entirely from the process these days, which makes the type of incremental change required in healthcare almost impossible. There seems neither the time nor the inclination for the inclusive process required for good policymaking. Even when good policy process does occur, it can all fall over in an instant as was the case recently for constitution recognition which went down without the noise it deserved. The doctor as advocate would be familiar with similar policy disappointment. It’s been a long road to reform and there has been plenty of blocks along the way. It’s clear that it is harder to get attention in such a cluttered space. What does it take to shape and change policy in our own policy space? 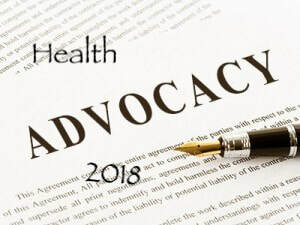 We advocate at different levels from individual patient advocacy through to more public advocacy or policy leadership roles on the national and sometimes international level. In a world ruled by Twitter, there’s not a lot of time for considered well design policy solutions. The type you need to communicate the evidence base or get the required policy reasoning across. But we still need to build that policy dialogue. This is why it is so important for us – as a community of healthcare professionals – to get it right. By getting it right I mean following good policy process. But how can we avoid the pitfalls of advocacy? Media can certainly help to set the agenda but I think a focus on inclusion is the best place to start. Magic happens when the right people are at the right place at the right time. When things are politically aligned and people at the table are smart and genuine in their intent - the moment when they recognise what leadership is all about - then Magic follows. When there is no personal or financial gain, leaders start to have a sense of what can be gained through collective advocacy for the benefit of their community. When the vision is clear and simple to understand by all involved implementation becomes a lot easier. Some people believe that politics is about being smart enough to make a lie look convincing. Sometimes this falls somewhere between a lie and a falsehood or the new “alternative facts” and post-truth era we now find ourselves in. Some politicians think they know better. They might even get away with some temporary gain but believe me, the power of truth has a longer and more effective success. People can smell dishonesty no matter how enticing a master deceiver may be. It is integrity that always shines through the brightest here. When there is a genuine and clear goal that addresses the common agenda, people get together to make what look like impossible change feel like a walk in the park. This requires a collaborative approach to creating change to facilitate mutual support and collective impact. When you win the hearts and souls of people, what seemed impossible becomes not only possible but a lot easier to achieve. When everyone in the room feels safe and heard by others, suddenly they will be able to see and value others contributions. In my opinion, you should leave your personal views and judgment of others outside the room. After all, we need to be clear about one thing - it is not about you, it is about others and the trust they’ve placed in you to present their opinion. Some may not agree with me but at the end of the day, everyone is entitled to have their own views. Let’s hope health advocacy in 2018 is a place of inclusive reform. That we work together towards collective impact and a common agenda that will see sector-wide improvements. The recent Review of National Aged Care Quality Regulatory Processes was released on 25 October. The review looked at past failures in terms of the limitations of the regulatory controls to recognise abuse and care issues. It’s emphasis, therefore, was on improved regulatory measures to improve national monitoring arrangements. Aged Care Minister Ken Wyatt, in his announcement on releasing the report, stated that the majority of facilities provide excellent care and are working to continually improve services. Some might argue that media reports of endemic abuse in nursing homes paint a very different picture. That aside, the Minister stated that focus was on seeing improvements to the system that can address those not delivering quality care. It is appropriate for the review to have a core focus on safety and quality. The capacity of the current regulatory environment to protect residents from ‘restrictive practices’ is of course appropriate. A key recommendation was the use of unannounced audits across Australia’s residential aged care facilities (RACF). This is a positive outcome and the commitment by the government to implement this recommendation quickly is also positive news. There were 10 recommendations in total to improve aged care resident protections through more transparent compliance and monitoring. Other key recommendations included establishing an independent Aged Care Quality Commission with provision for a quality commissioner, complaints commissioner, consumer commissioner as well as a chief clinical advisor. This new commission would develop and maintain a centralised database with the view of creating a star-rated system on provider performance. In addition, there would be more protections to curb abuse which would see a recommendation from the Australian Law Reform Commission for a new independent serious incident response scheme (SIRS). On accreditation and compliance, the unannounced visits were the major recommendation with more public disclosure on matters of non-compliance. In addition, if supported, there would be strengthened controls around medication reviews and compliance. Medication reviews were recommended on admission, after hospitalisation, upon deterioration or when changing medication regimes. Where’s the focus on general practice? This is an important body of work but again we see a lack of insight into the key role of general practice in aged care service provision. This is another example of a review which has missed an opportunity to ensure a stronger role for GPs. There should have been scope to work through key issues including those areas of clinical governance as a key quality enhancement measure. It’s all very well to make sure that there are controls to pick up those not doing the right thing. But doesn’t it make better policy sense to place an equal emphasis on why the issues are there in the first place? It is very disappointing that this review did not extend to service solutions through general practice. This oversight being on the back of the recent Productivity Commission’s 5-year productivity review – Shifting the Dial - which also underplayed the role of general practice in a discussion which focussed on prevention and primary care. To a certain extent, even the changes in Victoria with the voluntary assisted dying legislation seem to lack a focus on service capability. Palliative care is one area which lacks clarity in terms of roles and most certainly there is a lack of data, fed by physician only item numbers, which can only constrain services and planning. GPs too do a lot in this area but this mostly goes unnoticed and underfunded. Ensuring there are funding levels to enabling access to palliative care services should be a priority moving forward. Why is there a lack of focus on general practice? It’s clear that success in terms of prevention makes us far less visible. Such is our role that if we do it well then it goes unnoticed. Best practice interventions for heart disease and stroke, for example, will translate over time through improvements in data. But there’s a very limited audience with not many from outside of the profession interested in this level of detail. The RACGP has made strong investments in recent years to lift our profile. However, the lack of focus is still a key problem. This is evident in this latest report where glaring service solutions – solutions to lift quality - have been again overlooked. 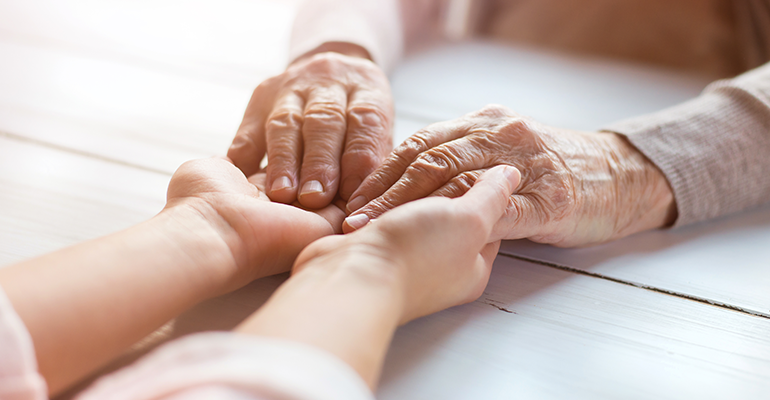 In a recent Medical Observer article by Professor Leanne Rowe, ‘Why are GPs missing for the national aged care review?’, this lack of focus was also seen as a key issue which limited the report’s findings. The review failed to acknowledge the critical role of GPs in improving the quality of care in these facilities. Those obvious service issues, central to ensuring quality, were ignored. A focus on quality needs to also look at ways to make improvements including through stronger staffing and appropriate skill mix levels. The role of the GP is clearly limited due to low rates of reimbursement through the MBS. Optimal models of care cannot work in an underfunded service environment. GP-led care or collaborative care solutions are relevant to achieving those safeguards for residents sought through this review. Stronger integration of GPs and improved collaboration with aged care staff and formalising these models of care would assure safe and high quality coordinated care for residents. More broadly, variable skillsets are important factors that impact on quality of care standards in these facilities. Inadequate staffing levels including the need for more skilled nursing staff is central to many of the quality and compliance issues central to this review. The recent Senate community affairs committee report made specific recommendations in this regard and again it is very relevant to a review focused on quality. Ensuring there are transparent and workable processes in place to uphold standards and community expectations in terms of care is very important. The recommendations offered through this review will go a long way towards strengthening these. But a great deal of the issues relates to the corporate ownership structure of the RACFs. More specifically, the limitations that brings in terms of ensuring quality service provision.